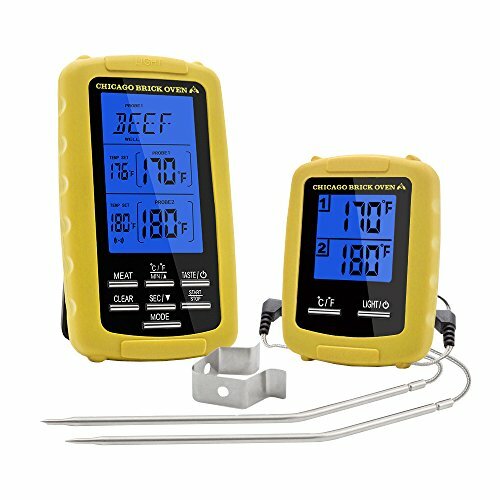 Become an cooking expert and create food with ease with the Chicago Brick Oven dual probe wireless thermometer. Entertain company with ease and never have to worry about overcooked or undercooked food again! 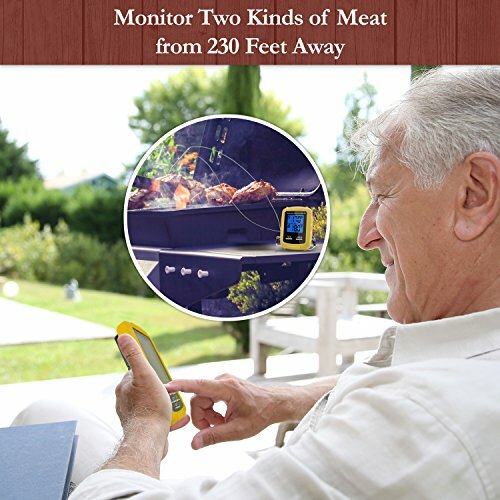 EASY REMOTE MONITORING: Wireless digital meat thermometer with dual probe monitors food from up to 300 feet away letting you entertain company. 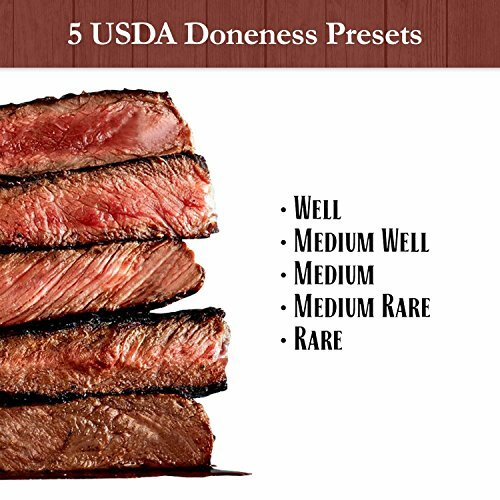 USDA PRESETS: 8 meat settings, 5 USDA doneness settings, and user customized settings lets you cook perfect food. Easily countdown and countup from 99 hours and 59 minutes. FAST ACCURACY: Super long step down tip is 7 inches and longer than competitors. Probe wires extend 3 1/2 feet. 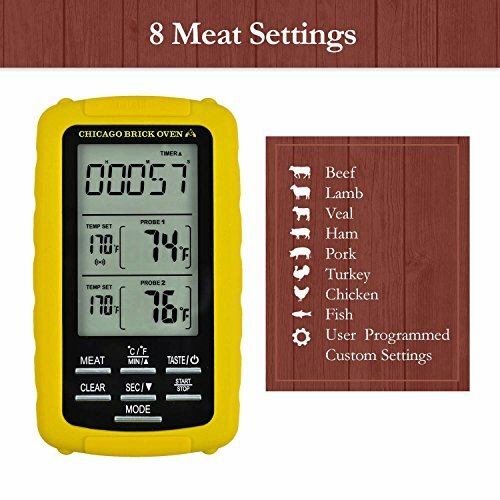 Accurately detect core temperatures within 7 seconds. 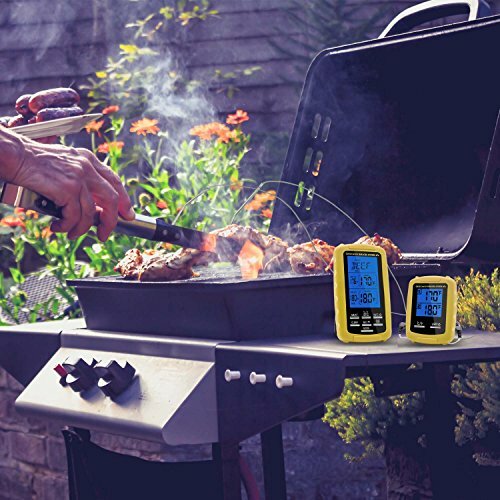 Monitor a wide range of temperatures from -4 F to 572 F and easily switch back and forth between Celcius and Fahrenheit. 60 DAY WARRANTY: Waterproof IP rating of IPX7 prevents fluids from food and water from damaging probes. Silicone cover and durable casing prevents damage from accidental drops. 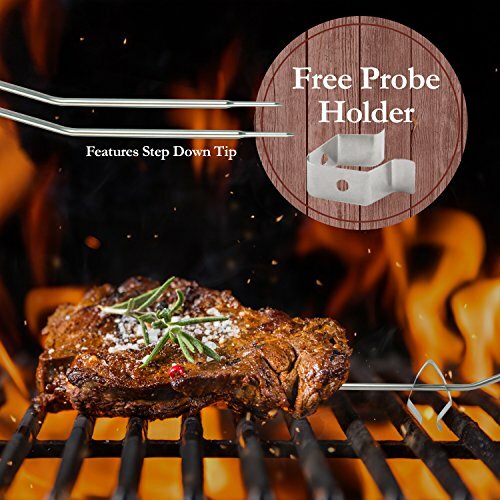 If you have any questions about this product by Chicago Brick Oven, contact us by completing and submitting the form below. If you are looking for a specif part number, please include it with your message. 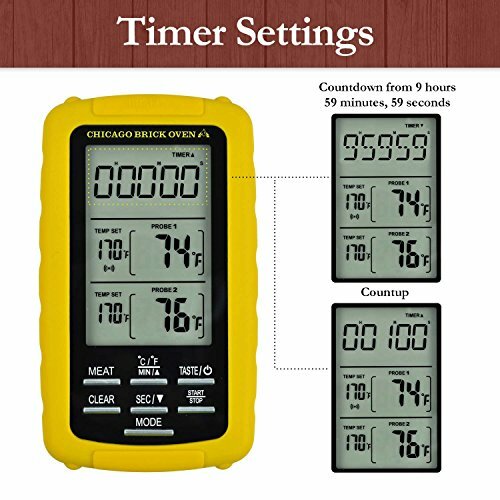 Loweryeah White Embedded Hygrometer, Electronic Thermometer, Digital Thermometer and Probe with -1 Probe.